Narration: It's called a proboscis. Deep Sea is the latest joy to be released in IMAX but part of its excellence comes, as so often, from being presented in IMAX 3D. All films should be released in this format, it's the true way forward for cinema. Even The Polar Express was good in IMAX! Deep Sea is a 40 minute documentary feature that makes the most of its 3D. 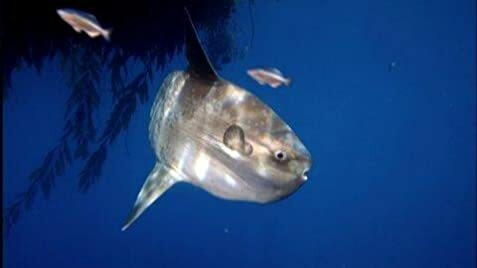 From the opening shot of a wave headed straight out of the screen to jellyfish fields, giant sea turtles and octopus and a legion of fish varieties and stunning underwater seascapes it does present the world it shows in rarely seen way. It is only let down by the talking down, over-humanisation of the narration aimed at the kids in the audience, especially from Kate Winslet. Johnny Deppp works better but Winslet sounds like a school-marm talking to a class of four year olds. And the narration has an annoying habit, ala March Of The Penguins, of endowing the animals with human traits to make them easier to associate with for childish minds. 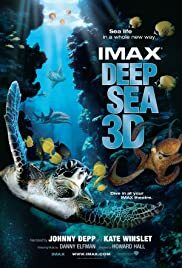 David Attenborough and the BBC make better documentaries as a whole production but you can't fault Deep Sea 3D's visuals and the immersion experience the IMAX format provides. See it for the experience. It is like nothing you've experienced before, the narration really is only a minor annoyance.